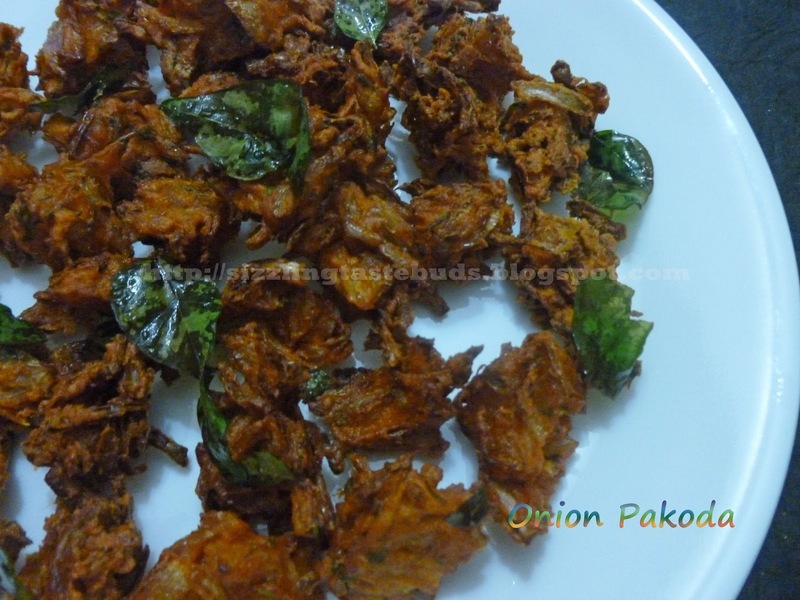 Onion Pakoda is one of the most popular Indian street food snack. Just a small evening walk near the park and you fill find some evening walkers of all generation, enjoying this with no guilt in those street stalls. Its an all time favorite snack and is made more often in rainy season. Just a cup of hot tea to sip on and a plate full of hot, crispy, spicy onion pakodas, Wow! Awesome! Its always a big hit when prepared for parties at home. 1. Mix onions, chilli powder, salt , chopped curry leaves and coriander leaves in a bowl and keep aside for 10 mins or till the oil gets heated up. Adding salt helps onions to release its moisture. 2. Add besan little by little to the onion mixture and try to bind them without adding water. The moisture content from the onions is sufficient for binding everything together else just sprinkle some water and mix. 3. Once oil gets heated up, just drop in these onion-besan mixture into the hot oil by making small dumplings. 4. 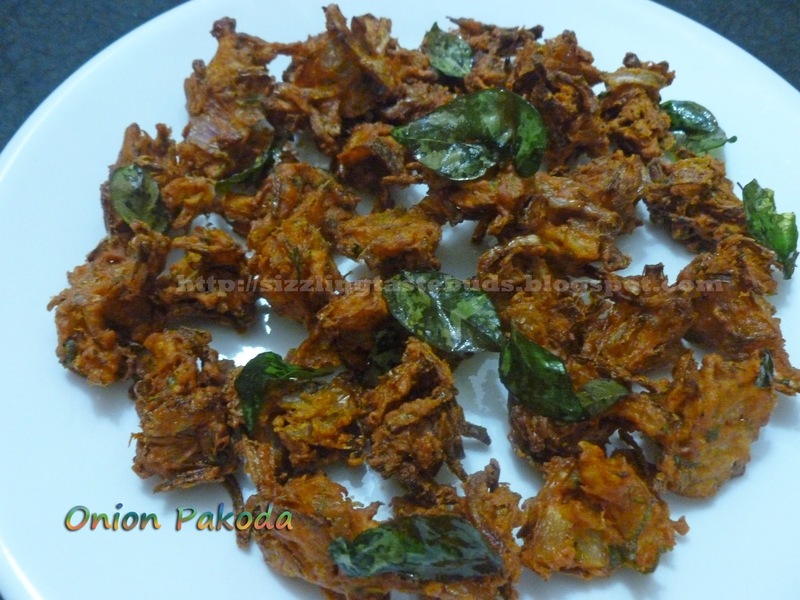 Deep fry these pakoda's in medium flame till you get a nice golden color and crispness. 5. Garnish it with some fried curry leaves and serve hot with tea or coffee.